When we start a business, we generally focus on door to door marketing for getting our first customer group. We rely on traditional forms of advertising such as print and media advertising, for example, we contribute ads in the newspaper or place big hoardings and pamphlets across street walls and public places. This form of marketing is quite expensive and due to the lack of sufficient funds, most of the marketers fail in traditional advertising. Digital marketing opened a new way for startups and entrepreneurs to reach out the potential customers in a way less cost than traditional advertising methods. Although traditional marketing can bring a bunch of customers for businesses, there’s a simpler and more efficient way to do so. Businesses, either large or small, should consider the huge online market for prospects. In this digital era, we have a huge set of customers available online, which we are ignoring by not seeking our business online! Compared to advertising on TV, radio or direct mail, digital marketing costs much less and at the same time reaches a much bigger space. Using digital marketing to promote your small business will help you to achieve a much greater chance of commercial success. As we all know content is King and all the activities like SEO, SMO, PPC, and SMM can’t be successful without content. Content marketing is the mother of every successful brand or business. According to the report by search engine land, contents that get huge engagements are long posts of more than 3000 words. Google supports and ranks the content which gives A-Z solutions for customer queries. If you are writing high-quality content without plagiarism and with all infographics and supportive elements like facts and figures, it will likely rank on the first page of the Google without SEO. 1. In order to get your content work these days, it has to speak directly with the issues of your customers- Before starting any article writing, your research about hot trending topics that users are seeking, definitely helps. Through one of the best research tools, BUZZSUMO, you can research trending articles, engagements on social media channels like Facebook, Twitter or LinkedIn, and craft article based on user queries. You can also look at Quora for customer needs and wants. This strategy will increase your brand recognition 3x times in the very short amount of time. 2. Use On-Page SEO to Extend Content Reach- On-page SEO plays a significant role in ranking and indexing your articles and blogs on the first spot of the search engines. After creating an article, you must optimize the titles, meta description and heading of an article with your main keywords so that Google gets to know what the article is all about and get it ranked in the proper place. If you are running a WordPress blog, you can get it done easily through SEO tools like YOAST or ALL IN ONE SEO. 3. Use Calls to Action- An article without proper call-to-action buttons like share, subscribe, purchase or download is worthless. You are not going to convert your visitors into customers. Suppose you are getting tons of traffic on your blog, but you haven’t placed any monetizing element or call-to-action, you are losing just your potential customers and wasting your content marketing efforts. So, it’s recommended to get a proper call-to-action button beneath the posts. According to Search Engine Land, SEO stands for “Search Engine Optimization”. SEO is the process of getting traffic for free or traffic from natural search engine results. If you understand how search engines rate sites, you can optimize a website to maximize its chances of ranking on relevant search queries. Search engine algorithms are constantly changing. Therefore, it’s important for businesses to remain updated with Google algorithms in order to achieve high rankings for the relevant keywords. To find anything online today requires more than self-hosted blog posts with closely related keywords. On the other hand, it’s about getting your content to the right places and creating goodwill with the big search engines (like Google, Yahoo! and Bing). Its digital properties will be more and more found by humans than by search algorithms, provided well done! When you are creating insightful articles on your blog or website you are influencing content writers and journalists to spread the word for you, increasing your brand’s search rankings as well as visibility. Off-page SEO is the practice of leveraging your content marketing efforts to the next level, converting into your website gets top ranking in the search results and ensuring customers believe that your brand is trustworthy and credible. On the search engine results pages (SERPs), the person or the website which is on the top 3 spots, receives customer engagement and conversions very well. By using link-building and relationship-building tactics, we can get coveted to #1 position for strong search terms and keywords. Blogs and articles exist only for one reason: People want information about products/services, meeting their requirements. Therefore, while considering SEO for the brand awareness, it’s important to choose the most popular and relevant media topics that people are looking for and write articles on them. This approach will get more audience coverage and reach. The second thing is to do guest posting. For this, firstly, you need to list the authorized websites and blogs in your work areas. When you create this list, you should also be aware that where your competitors have links. (This is a smart and revolutionary way to influence existing market research that will allow you to fit into successful conversations in most popular websites in your business). Backlinks spying tools like SpyFu and Open Site Explorer are the best fit for discovering these hidden Competitor Links. Finally, refer to each of the sites on your list, know your guidelines for posts, and create good contents for your audience so that a large segment could become your target audience. Backlinks to your website with anchor text which is rich in keywords will greatly help your SEO efforts and your visibility. Distributing press releases is a vital element in your business. With Off-page SEO efforts, public relations go hand-in-hand with digital marketing and can lead to great things for your brand. There are several free press release distribution sites where business can distribute press releases are PR.com or PR Newswire. You need to keep one thing in mind that press releases are not read by your occasional audience who browses or searches for information on the Internet; they are journalists, content creators, and media owners. An excellent tool that allows you to connect with experts and professionals who are looking for great stories is HARO (Help a Reporter). The “influencers” of your niche market segment, are the experts in a particular subject with huge social media followings. They create social media content that is being liked and trusted by a large number of people. Influencers are very busy and highly coveted people. You need to contact the influencers to promote your links if you want to naturally boost your SEO efforts. Outreach efforts are vital and same as you put into creating an article. First of all, you need to create a list of industry personalities to start a conversation with. You can add value by introducing influential people into syndicated blog posts, interviewing them in podcasts, or offering them a “sample” of your product or service, if they are particularly relevant or have a specific need. Influencer marketing is hard to master and if done in the right manner nothing substitutes for them. There are billions of people who use social media platforms like Facebook, Twitter, LinkedIn, What’s App, Instagram, Snapchat etc. every day, to interact with their friends or businesses they trust. To get full advantage of social media, your brand must be authentic and credible and this can be done by regularly updating your social media accounts with insightful posts and customer interactions. Once you managed to build strong relationships with your customers, it eventually increases brand value and loyalty among customers. Social media marketing is a great way of doing business online, to achieve brand acquisition and goals. Social media helps in improving customer experience, connect with new customers daily and get insightful feedback from them. If companies are posting social media content that adds value to their customers, they can surely connect with their customers in a cost-effective manner. By posting educative content draws users’ attention on Facebook or Twitter, or, an eye-catching image on Instagram. Every time you present a fresh look in your content, you ensure new and more customer engagements. With social media engagement amongst customers, you can represent yourself as a human voice by solving their queries. You can take reviews of the delivered products/services to ensure customer satisfaction, back and forth. This marketing method helps to achieve effective results in a highly efficient manner. Social media posts serve as a great tool for market research. With careful monitoring of posts, you can easily identify your ideal customers and work on your vulnerabilities so that your products and/or services do not look alike others’ ones. Here are the three things necessary for every social media marketer to take care of while running a social media campaign. If you are doing free campaigns on social media, you cannot track and analyze the data of your visitors or customers. Therefore, it is recommended to opt for paid campaigns. For example, you can post something on Facebook and boost it with paid ads. Its publicity will reach to the much larger extent and directly to your potential customers. You can then track engagements and behavior of customers to constantly improve your offerings. There’s nothing worse for a business which is not consistent with social media. This activity can lead to severe damage to the business reputation as customers think that the brand is no longer available. The first and foremost duty of every business is to satisfy their customers’ needs. There are the building blocks for your business and brand, and, if they are dissatisfied, nothing else can help you out. So, be consistent with your social media posts and engagements. Answer queries of your customers regularly and keep getting feedback, from time to time. More you interact with your customers, more your business gets credibility. People like attractive posts and infographics. With fancy thumbnails and dazzling images, you can engage more customers and increase the chance of getting conversions. Most of the social media experts make a big mistake by just posting their articles without any images or videos. These types of posts are often perceived as boring to read. Today’s end user has limited time to read posts; so, it is advised to post with insightful images, videos or infographics, to get more user attention. SEM (Search Engine Marketing) is an alternative of SEO and for businesses who want immediate results. It is the process of getting traffic to a website via paid services or ranking keywords through paid advertising. Google Ads are considered one of the most popular paid search platform used by 80 percent of marketers, followed by Bing and Yahoo ads. Apart from that, there are many “2nd tier PPC platforms” available in the form of social media networks like Facebook, LinkedIn, and Twitter Marketing. Usually, SEM and PPC advertising platforms like Google Ads charge advertisers a predetermined amount every time to show their ads on Google and once the ad is clicked. It is very beneficial for e-commerce and service-oriented sites, where owners can target their potential customers as desired. Affiliate marketing contributes 15-20 percent of all money earned online. It is the process of earning a commission by promoting a company or individual products. The step is simple, you need to find a product you like, promote it to others (usually through your blog or social media channels), and, earn a piece of the profit from every sale you make. Many marketers think that email marketing is no longer effective, but, it acts as a pillar for businesses attempting to convert sales over the internet if done properly. With appropriate email marketing campaigns, you can get direct contact with your clients, generating added sales opportunities. With email marketing, you can keep your customer updated with exciting news and reminders directly to their mailbox, and, all this will be done automatically within a matter of minutes. By using the right email marketing tools like Drip or Aweber, you can send out customized emails to the visitors, that look professional and represent your business as required. People want brands which they can fully trust, businesses that know them and their needs, communication channels that are personalized and relevant, and, offers which are tailor-made solutions to their requirements. Email marketing may prove the best approach sometimes. • You can interact with your customers and learn exactly what they are looking for through their reviews, live chat, social media etc. • The ability to reach a global marketplace and showcase your business 24/7. • You can save advertising costs and reach more customers as compared to traditional marketing approaches like TV, print, and newspapers. • You can easily know your customers’ tastes and preferences, and, also allow them to know you personally, which can help in building brand awareness and their loyalty. • You can track and analyze your marketing efforts in real-time. There are many reasons you hear from a small business owner about not getting their business online. They avoid doing this type of marketing because small businesses sometimes believe that they do not have the time or the money to compete online. They believe that they cannot face too many challenges at the same time as they are in their initial stage of business and trying to learn naïve things. Many business owners prefer to back down and stick to one or two traditional forms of advertising hoping for business growth over time. Most of the businesses think that the best strategy is to wait for customers to appear and keep up their good services. Also, in some cases, small businesses think that they only need a small number of customers to run their business. This is not an effective approach. There is never a guarantee that your business will only attract customers through its existence, and even if it does, it will not attract as many as you need to make your business profitable. If you are avoiding digital marketing, you are losing your potential customers every minute. Your potential customers are already online. Today, customers who are looking for a business like yours and if they can’t find you easily, they goanna probably choose someone else. This is how business is being done nowadays. When someone is interested in your business, whether it is in your niche fraternity or if they are curious about your brand, the first thing they are going to do is search your business online and know more about you and your work. They expect a responsive website and a great social media presence for your business. They will look at previous customer reviews to learn what other people are saying about your company and whether it is a good place to do business or not. If a customer can’t find your online presence, they may consider your business as not credible or trustworthy. To get success in your business, you need to be aware of your competitors and their activities. You need to think of your competitors just not for getting ahead of them, but as someone whom you can learn from. When you see what your competitors are doing, you will get a fair idea of what works and what doesn’t! Irrespective of the industry you operate in, some of your competitors will most likely have an internet presence. Look at the contents they are using. Are they going online with brand videos, infographics or campaigns? To win customers in your kitty, you need to ask yourself questions like, how your brand is unique as compared to your competitors, falling in the same niche? To what extent are you engaging your potential customers? How do you think that you can do better against your competitors? This can only happen when you participate in the competition in the digital world. If you are competing in isolation, with businesses in the same segment who have an online presence, you are directly losing your potential customers every minute as most get attracted to fancies. In this digital world, every business seems to compete online with new trends and campaigns. Customers look for the business which has a great online presence and if you are not accessible to your consumers in every format you are just going to lose them, even for small things like plumbing and ordering food. Customers search for local businesses mostly on Google, and, if you are failing in digital marketing, you are losing to the competition. Even if you got an online presence by having a website, it doesn’t mean that you have won the race. There are hundreds of similar websites that are providing the same services in your areas of operations. Here comes the golden practice of digital marketing which is SEO (Search Engine Optimization). With SEO, you can beat your competition and get listed on the first page of the Google or any other search engine, with small tweaks and practices. Google has 200+ algorithms for SEO which marketers need to optimize and the important one is OFF-page SEO which is explained in the article below. Customers are getting smarter day by day and can compare multiple competitors by the specific line of business, in no-time. Therefore, online presence is more convenient and accessible to your customers. For example, if you are running a restaurant business and you list your restaurant on Google My Business with your responsive website and details like working hours, open days and reviews etc. so that customers can get all the details online. Your potential customers, check both you and your competitors online and a slight difference can change their decision. It’s also a benefit for business in many ways i.e. your customer can find you in every way both online and offline so that you don’t lose out of sight as well as the mind! We get the fair idea about customers’ engagement online through Google searches. There have been 3.5 billion Google searches every day; so, 40,000 searches per second. The scope of online business is beyond the four walls. If you are doing it in the right way, you can reach out to limitless customers as compared to traditional marketing. Through online presence, your business is open 24/7 around the world. You can reach out to the global marketplace where your customers can come to you anytime during the day or night. 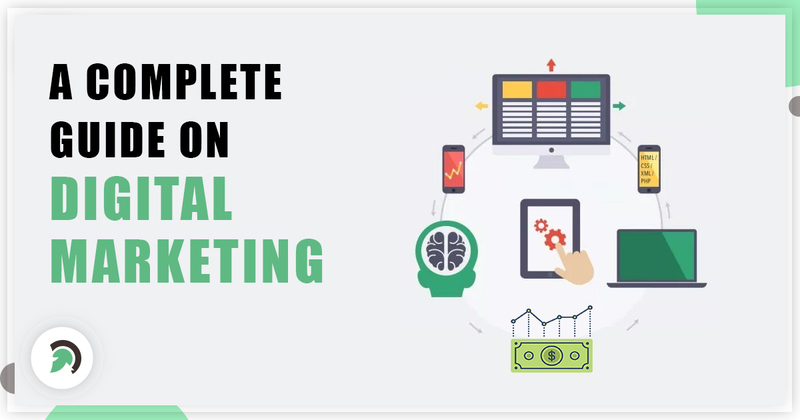 Digital marketing gives you and your customers plenty of opportunities to interact and get to know each other in details at mutual convenience. Your customers can easily connect with you through emails with questions. You can also get to know your customers’ needs through social media, polls, and surveys. With this approach, customers who can’t physically come to your store, are able to do business with you online. With Digital Marketing you can connect with your customers seamlessly through social media channels and blogs. You can analyze your customers’ behavior towards the product and services, their opinions on services rendered and many more things. Digital marketing plays a significant role in getting customers’ feedback and crafting products worthy to demand. You can create a poll or a survey to get to know them. You can also pay attention to their comments or survey responses, for the enhancement of your products and/or services. By networking digitally with people, you can know what they are looking for. Which solutions can you offer to them? Instead of guessing like in offline marketing, digital marketing offers tools and methods that help in determining who your real customers are. That’s how you start to build a relationship with your customers. You become much more than a company. You become a trustworthy partner. People always tend to buy from companies that have already done business with them. Most of the small businesses think that they cannot connect with their target audience if they are low on budget. But the fact is, many forms of digital marketing allow you to communicate and reach to a larger audience, even if your budget is tight. You can get customer attention through free and paid Facebook or Twitter campaigns. There’s a lot of scope in digital marketing. As you know, the internet is, not the place only for searching generic terms. ; but, a huge marketplace for buyers and sellers to get connected and grow their business online. We are sure, this guide on digital marketing expanded your views wider and showed you a pathway of how digital marketing can help you in growing your business.